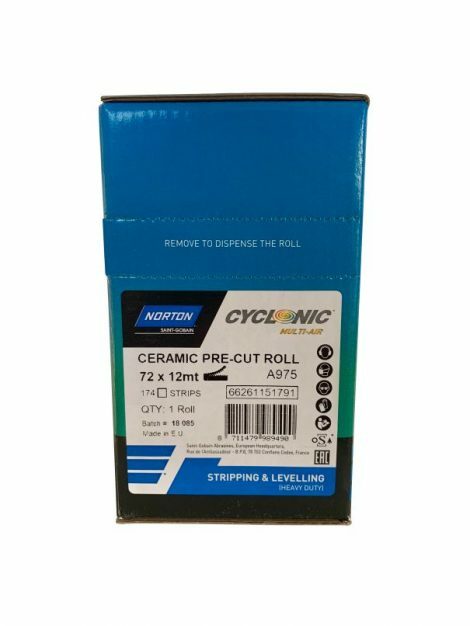 Norton Mesh Strips are a ceramic version of widely used Abrasive Strips used by the majority of body shops. This ceramic abrasive stays sharp as the grain fractures compared to conventionally used aluminium oxide grain that wears down. Samples were given out in the bodyshop magazine and from this great feedback, Car Colour Services are now stocking due to demand. The NEW Norton MeshPower sanding sheets provides a powerful dust extraction for virtually dust free sanding. This means a cleaner, healthier working environment, a better finish and a much more pleasant sanding experience. The abrasive sheet can be used by hand or with a machine on primer, filler, paint, lacquer, fibreglass, aluminium, gel coat and plastic in panel repair, spot repair, bumper repair and even new panels. The open structure and premium bond system means that it can be used wet or dry for the perfect results. The self-gripping backing allows for a quick and easy sheet change. As there is no designated hole pattern it is easy to align to any backing pad which saves time and effort aligning holes. Sanding can traditionally be very dusty and messy. 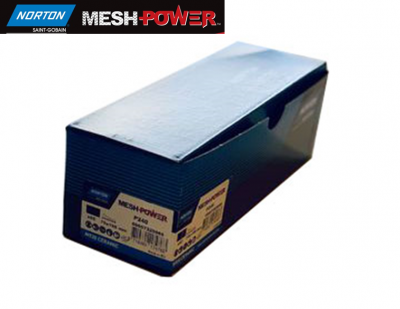 Norton Meshpower is a multi-functional abrasive disc that has an open mesh construction allowing particles to flow freely through thousands of tiny holes. This hole structure allows dust extraction in any application and provides a dust free sanding environment. This is better for your health, better for your application and business making it ideal for your auto body work. Norton MeshPower products also feature Norton No-Fil® technology, which is applied to the abrasive grains to prevent clogging for longer product life. This also helps to deliver a consistent cut throughout the product life to achieve a better finish, improved productivity and value for money.